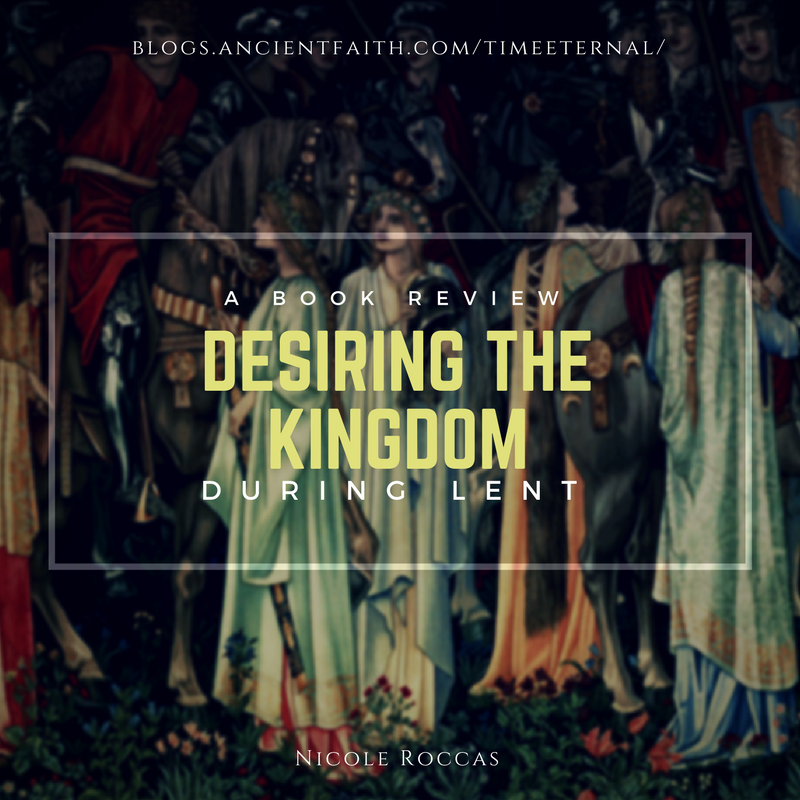 If you’ve listened to the most recent episode of Time Eternal, you’ll know I’ve been reading James K. A. Smith’s Desiring the Kingdom: Worship, Worldview, and Cultural Formation during Lent. Here, I’m posting a full review of the book. To summarize, I found this a really worthwhile read. Smith comes from the Reformed tradition, but so many of his insights are relevant to an Orthodox audience. It’s particularly well suited, I think, for the Time Eternal crowd. I’ve blogged and podcasted often about the repetitive nature of prayer and worship in the Orthodox setting–and why we somehow seem to need that to further our endeavor of becoming truly human. So if you haven’t read this yet, make sure to check it out! I read it both on Audible and in hardcopy. James K. A. Smith, Desiring the Kingdom: Worship, Worldview, and Cultural Formation (Grand Rapids, MI: Baker Academic, 2009). 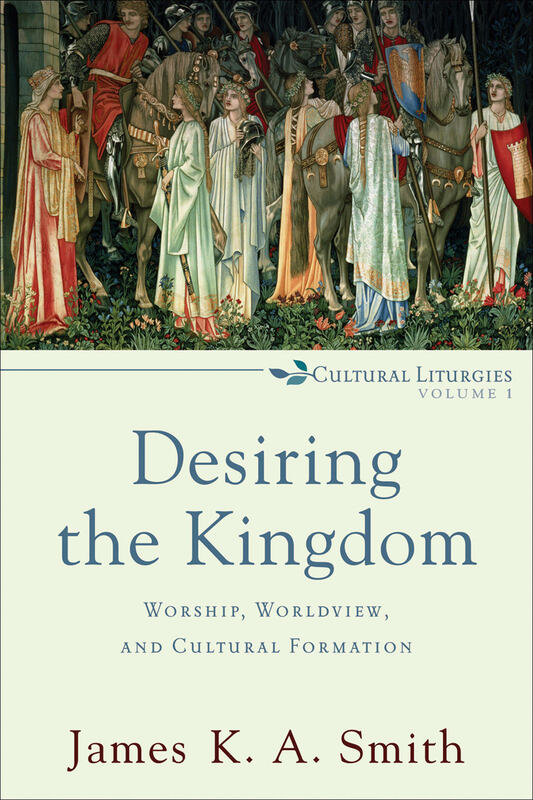 James K. A. Smith’s Desiring the Kingdom is volume one in his three-book series, Cultural Liturgies. In it, he introduces the foundational idea that humans are essentially worshiping creatures (Smith christens us as homo liturgicus, a play on the medieval tropes of homo ludens and homo orans). Although the book will appeal to Christians of all stripes—including the Orthodox—his target audience is Christian educators. His charge to them is to move away from thinking (or educating) “worldviewishly.” The problem with the worldview paradigm is that it assumes humans are primarily thinking/ believing creatures. Instead, we must recognize we are first and foremost worshipers, or lovers—of God, ourselves, each other, and (as it happens) consumer goods. “You are what you love” is a sentiment that resounds throughout this work (and forms the title of Smith’s 2016 book). As Smith sees it, our lives and societies are a series of nested, intertwined liturgies unfolding all around us. The book opens with an evocative description of walking through a mall. Smith awakens our sense of sight, smell, taste, and touch as he guides readers through the unseen rituals that attend such meccas of consumerism. Regardless of the reader’s denominational affiliation, one will easily begin to recognize the countless tiny liturgies that comprise everyday life. As much as we’d like to think our behaviors are guided by rational decisions, it is more often habits and behaviors that frame our interpretations of and responses to life. Understanding this more experiential facet of lived reality is the foundation of what philosophers call phenomenology. Smith’s ability to map out phenomenology—and locate it as a worthy exploration for Christians—is a great accomplishment. Phenomenology is a big word that’s hard to say (think iambic pentameter, if that helps 😉), but basically it is a way of approaching the world that “recognizes there are different ways of being conscious” besides just thinking (49-50). Phenomenology affirms that we tend to make sense of our lives experientially, via perceiving, remembering, hoping, fearing, loving, encountering. Phenomenology says that although we may not be able to give words to these modes of experience, they nonetheless shape our view of reality more than the conscious, rational thoughts we can express. Smith rightly points out that (Protestant) Christianity has gotten sidetracked over-appealing to people as strictly thinking creatures while simultaneously failing to engage them as experiencing and worshipping creatures. With the rise of postmodernity, this modus operandi has become particularly unhelpful (not sure it ever was helpful in the first place). Whether we identify ourselves among the faithful or the skeptics, we need to recognize that people increasingly make decisions based on experiences and encounters rather than convincing facts (or Bible tracts). Spiritual formation today, if it is to have any restorative benefit, must recapture and reclaim that habitual, behavioral, experiential element of human existence. And is this really very different from how Christ encountered His own followers? The disciples, too, were each persuaded by their own encounter with Christ—a calling of their name, a sighting under a fig tree, an experience of abundance while fishing. And after these encounters, Christ invited them into the quotidian liturgical-ness of following Him, of taking up their crosses day after day. Praying, fasting, distributing bread, and healing became the new liturgies of their lives. In general, this reading was well worth my time. I’d recommend it to intellectually minded Christians who want to dig deep into the liturgical or routine elements of their own spiritual formation. This book also serves Orthodox Christians well not only by helping us recognize the everyday connections between lituryg and life, but also by providing a bridge with our Protestant brothers and sisters to share in the benefit and mystery of our liturgical creatureliness. 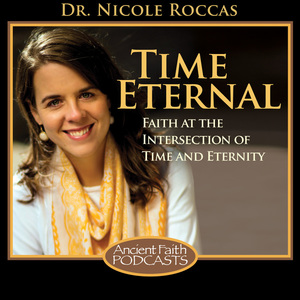 Dr. Roccas, I was profoundly moved by this podcast! I am a surgeon and have often thought about how liturgical surgery is. We have so many litanies! The litany of prepping and draping. We do a “time out” where before we start the operation where the nurse reads the procedure we are doing and everyone has to agree. The checklists. The counterpoint of surgeon requesting instruments followed by the scrub techs slapping it firmly into the surgeons hand. I recently read the life of St. Luke of Crimea and it reminded me of some of the reasons I went into medicine. Also, when I got home last night, I made a point of treating my time with my wife as a Liturgy. She kept asking if anything was wrong😀. This morning she commented on the best part of her day being when we were sitting on the couch and I was paying attention to her. Thank you so much for your podcasts and blogs. I am reading through “Time and Despondency “. Thanks again. God bless! Thanks so much for your comment, Tom! Your take on the liturgy of surgery struck a chord with me. Not only am I the daughter of a surgical technician, and the niece of a handful of nurses, but my father-in-law has been in hospital for weeks with advanced cancer and ailments resulting from that (strokes, seizures, etc.) The liturgy of the hospital is, at the moment, a big part of my life. There is an unseen beauty in the purpose with which the doctors and nurses go about rounds and tests. A counterpoint between the hustle and bustle of daytime care versus the still and peace of spending the night in the ward. On top of that, the rhythm of heart monitors, breathing machines, etc. It is both heartbreaking and oddly peaceful.